Does your home get overly hot in the summer or cold and drafty in the winter, regardless of how much you use your HVAC? Foam It Insulation has over a decade of experience specializing in home insulation, especially spray foam. 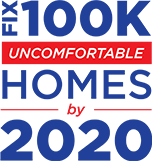 Our mission is to give you a comfortable, more affordable home for years to come! Because we have been trained and certified by the energy specialists at Dr. Energy Saver, you can be sure that you're choosing the right contractor for the job, no matter how big or small the problem might seem. Let our friendly technicians help you make expensive bills a thing of the past! Interested in improving your home's energy performance? Our energy audits will pinpoint where your home is losing energy, and we will recommend the insulation, air sealing, or duct sealing services we think are appropriate for your home. Schedule your free audit in Binghamton, Endicott, Johnson City or areas nearby! Lower your heating & cooling bills with our spray foam insulation services. Sealing air leaks can eliminate cold drafts, improve air quality & help insulation work more effectively. We evaluate your entire home and then provide the upgrades and repairs you need to reach your energy saving goals. The weather outside can affect different parts of the home in different ways – but it usually is bad news for your home. Foam It Insulation offers spray foam insulation that can be installed in any room from the attic to the basement or crawl space. We can also work with cellulose insulation, rigid foam board, and other insulation types depending on your home's specific needs! "They showed up quickly, did exactly..."
""Very impressed with the work!"" "I would recommend Foam It Insulation to..."
The longer you wait for insulation and air sealing services, the more money you're wasting in the meantime. Every minute you go without an efficient home equals utility costs that you can't recover. But when you work with Foam It Insulation to resolve home energy problems, you'll notice the results right away! Call us at 1-607-821-0519 or contact us online to schedule a free estimate or home energy audit today! We offer our services in Endicott, Binghamton, Johnson City, Owego, Vestal, Jackson, Apalachin, Kirkwood, Conklin, Greene, and areas nearby!